From the moment we take our first steps, we are encouraged to be useful—pick up our toys, go to school, get a job, care for a family. We spend our whole lives contributing, so much so that even though the “break” of retirement is often welcome, it’s not always easy. And in fact, people actually should stay busy! 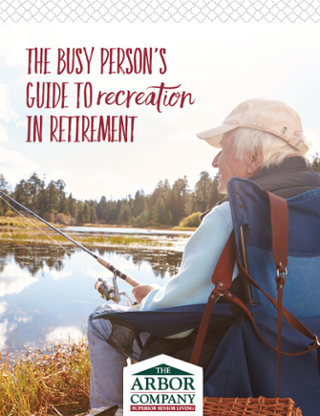 In our “recreation in retirement” guide, we look at the countless health benefits of staying active and provide some fun, low-impact activities and exercises that will make it easy to maintain a healthy lifestyle without taking up too much time. Complete the form below to download your copy of the guide!